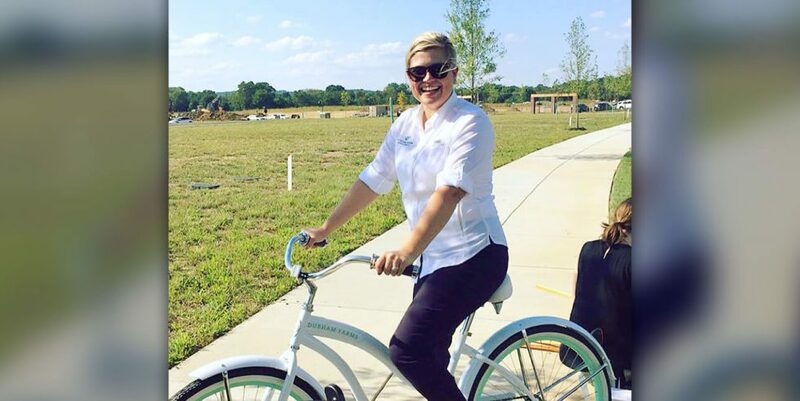 Residents can expect a warm welcome at Durham Farms, a unique master-planned community from Freehold Communities in Hendersonville, TN, that focuses on engaging its residents within their community. Lacey Edwards has joined Durham Farms as Lifestyle Director, and will lead engagement efforts including lifestyle planning and activities. With an exciting slate of festivities already planned, consider it southern hospitality at its finest. With a background in property management and event planning, Lacey brings a great blend of experience and knowledge to Durham Farms. “I love being able to bring people together and watch people connect organically. From there, friendships are born,” she adds. Many activities will take full advantages of the amenities at Durham Farms, including the Farmhouse, a spacious community center with a sweeping veranda and The HUB, a coffee shop-style Wi-Fi café, nature trails, parks, green spaces, pool and children’s splash pad. “The possibilities for involvement are endless at Durham Farms!” says Lacey. Sign up for our Founders Club and be the first to get information about fun Fall happenings and exciting events at Durham Farms.